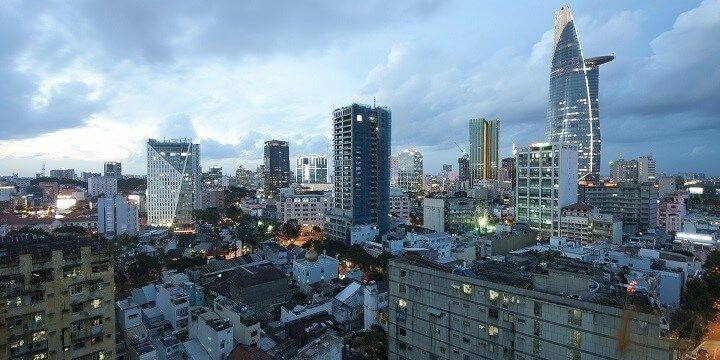 Located in the South of Vietnam, Ho Chi Minh City is Vietnam’s financial hub, and one of the country’s largest cities. Formerly known as Saigon, Ho Chi Minh City played a central role in the Vietnam War, the traces of which are still evident in the city today. Some of Ho Chi Minh City’s main attractions are its rooftop bars, many of which keep their doors open past twelve, despite Vietnam’s midnight curfew. Most of the bars can be found in District 1, the main tourist and business area. For a more affordable night out, head to Bui Vien Street, Ho Chi Minh City’s backpacker street, full of buzzing bars, and affordable restaurants, offering a huge range of cuisines. Turtle Lake offers a more relaxing evening atmosphere. Despite its name, this landmark is not a lake, but a roundabout in District 1. In the afternoon and evening, many street vendors set up stalls here, selling delicious street food, such as Banh Mi (baguettes), Bap Xao (deep-fried sweetcorn), and Banh Trang Tron (rice paper salad). The light show at the Starlight Bridge is a must-see in Ho Chi Minh City. 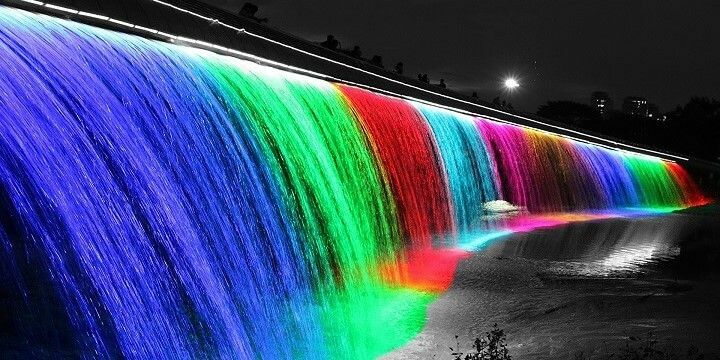 Alternatively, check out Starlight Bridge in District 7 for a spectacular light show over one of the city’s most impressive bridges. Want to learn more about the Vietnam War? Be sure to check out the War Remnants Museum, located in the city center. Its fascinating, albeit upsetting, exhibitions teach visitors about various aspects of the war, including the use of chemical weapons, and survival methods. In the outside area, you’ll see many of the vehicles — such as tanks and helicopters — and horrifying torture tools used during the war. Gain a deeper understanding of Vietnam’s past by taking a half-day tour to the Cu Chi Tunnels, home to over 120 kilometers of tunnels used by the Viet Cong. You can even go into the tunnels yourself; however, they have been expanded, and light fixtures installed, so it’s not a fully authentic experience. Ho Chi Minh City offers a great mix of old and new architecture. One of the most impressive newer buildings is the Bitexco Financial Tower, the tallest building in the city. Shaped like a lotus flower (Vietnam’s national flower), the tower is home to the Saigon Sky Deck, which offers unbeatable views over the city from the 49th floor. The Bitexo Financial Tower is the tallest building in the city. If you’re more interested in older architecture, check out the Notre-Dame Cathedral Basilica. As its name suggests, this cathedral was built by French colonialists in the late 1800s as a replica of the Notre Dame in Paris. The Central Post Office was built by the French. Nearby, you’ll find the Central Post Office, but this is no ordinary post office! 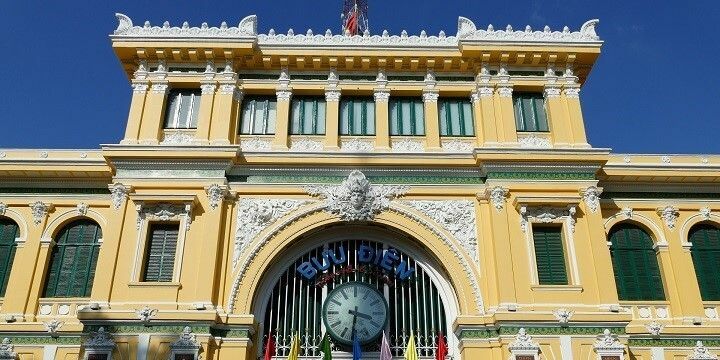 Also built by the French in the 19th century, this building features incredible arches, marble floors, as well as intricately painted maps of Vietnam. Ben Tanh and Binh Tay are Ho Chi Minh City’s biggest and busiest markets. The former is located in District 1, while the latter can be found in Chinatown. Both markets offer great deals on clothing, jewelry, and souvenirs, as well as delicious local food. If you prefer malls to markets, head to Dong Khoi Street, Ho Chi Minh City’s version of London’s Oxford Street. Starting at the banks of the Saigon River, the street stretches 600 meters, featuring impressive buildings, including the Saigon Opera House and the Central Post Office, as well as high-end boutiques, and expensive restaurants and bars. If NextStop24 helped you to choose your next travel destination, we'd be very grateful if you’d search for your accommodation and things to do in Ho Chi Minh City through these links. They're affiliate links, which means that we will receive a small commission for every booking made through them. There are no extra costs for you; you'll simply be helping to keep NextStop24 running. Thanks! Ho Chi Minh City offers a great mix of history and culture as well as nightlife and shopping.